Way back in March, 1987 when Roland Swenson kicked off a little regional industry music fest in Austin, it’s hard to image anyone dreamed it would evolve into the gargantuan gathering that is South by Southwest today. In the first year, Swenson and co-organizers Louis Black, Nick Barbaro, and Louis Meyers anticipated a smallish crowd of around 150; they got over 700, and the rest, as they say, is history. Today, the fest is nothing short of huge, and while Music is still a large part of SXSW, it now also encompasses Film and Interactive, along with smaller spin-offs of the brand that draw Venn diagrams around sports, fashion and television/episodic storytelling as well. 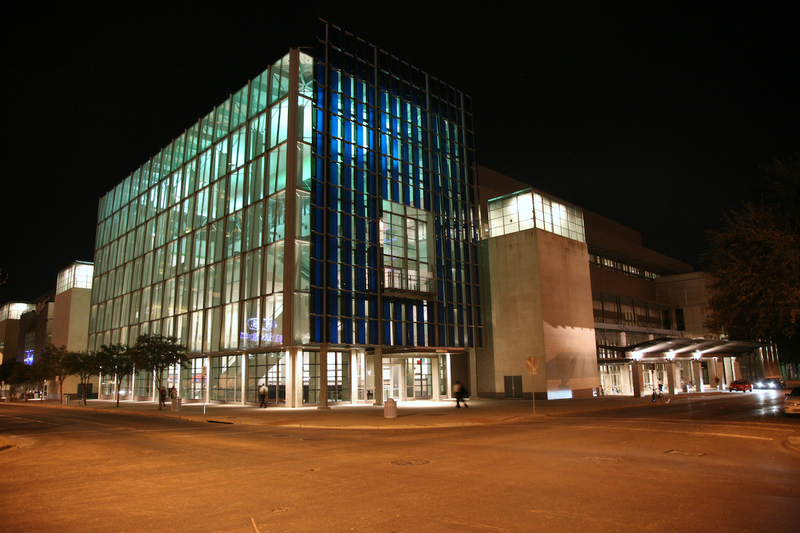 In addition to thousands of screenings and live performances, and a takeover of the Austin Convention Center with interactive folks hawking the latest and greatest technological advances, the fest has been putting a strong emphasis on the idea of “convergence” over the past several years, tapping into the idea that the worlds of film, music and technology/interactive are increasingly interconnected and dependent upon each other. At SXSW 2015, all those ingredients collide in one place, and while attitudes and interests at the fest vary depending on what you’ve come for, there’s no place in Austin that better illustrates through style and visual metaphor the fascinated mixture of convergence and divergence of the worlds of tech, music and film than the convention center. 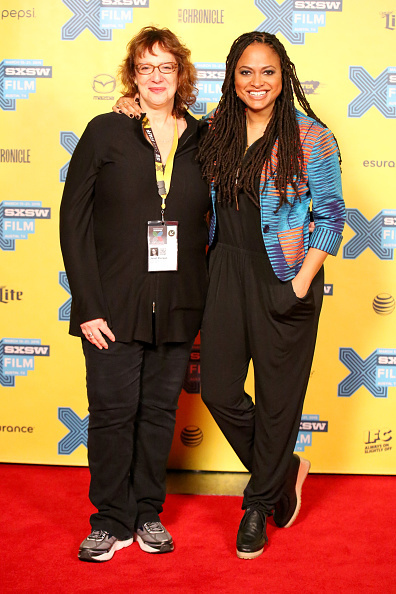 SXSW’s Janet Pierson and filmmaker Ava DuVernay at this year’s fest. Credit: Heather Kennedy/Getty Images. On the film side of the fest, SXSW film head Janet Pierson, now in her seventh year running the fest, runs all over town in her trademark black pantsuits and sneakers, tirelessly introducing films and moderating Q&As for many of the 150-plus features programmed at this year’s event. During Pierson’s tenure, the film side of the fest has evolved as well; SXSW used to be where the industry came to unwind post-Sundance and consume vast quantities of BBQ, Tex-Mex, margaritas, local artisan beers and Alamo milkshakes while catching as many cool films as possible in between all the eating and the parties. SXSW film today, though, has been shifting more and more each year toward becoming a market fest—or at the very least a fest that has a lot to say about trends in the industry—with acquisition folks keeping an eye out for films that pop out in the egalitarian and casual atmosphere characteristic of SXSW, and tech-savvy filmmakers and distributors seeking better, more efficient avenues to reach their audience. 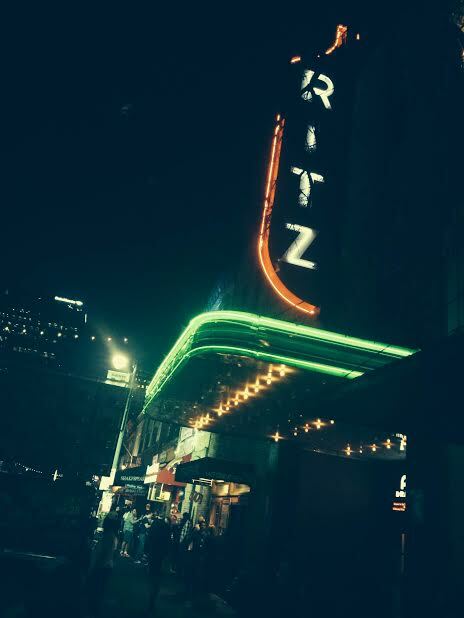 Austin’s The Ritz during SXSW. Credit: Kim Voynar. Because SXSW, unlike other fests of its size, does not do screenings exclusively for press and industry, critics and buyers alike wait in line with everybody else, and so perhaps even more than Sundance and Toronto, SXSW screenings give critics, buyers and filmmakers alike a read into how their films might play to a broader, non-industry audience. While it can arguably affect a writer’s take on a film to see a Midnight feature with a packed and hyper-reactive crowd that’s squealing and screaming with delight, it’s certainly a different viewing experience than seeing the same film at a 9:00 a.m. press screening with a bunch of bleary-eyed and jaded press and industry folks. 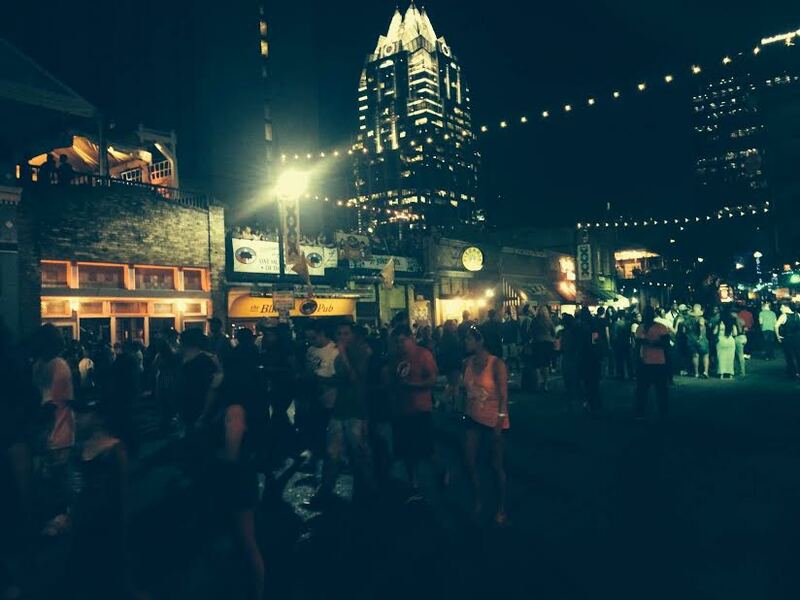 Austin at night during SXSW. Credit: Kim Voynar. On the Daily Buzz @ SXSW radio show/podcast, which I co-host, we’ve extended our reach beyond Film the past couple years to include Interactive and Music in our discussion of the fest. This year our Interactive guests included the head of SXSW Interactive, Hugh Forrest; the developers of a bra that detects breast cancer; an app that allows you to create animated stories about your life; and participants in a global competition to create a working tricorder (one can only imagine that Gene Roddenberry, were he still alive, would appreciate his vision of the future coming to fruition at a fest that celebrates and brings together diverse people and industries into one giant, egalitarian mixing pot). And of course, apps and products pertinent to filmmakers, including the latest in digital filmmaking technologies, abounded on the convention center floor. 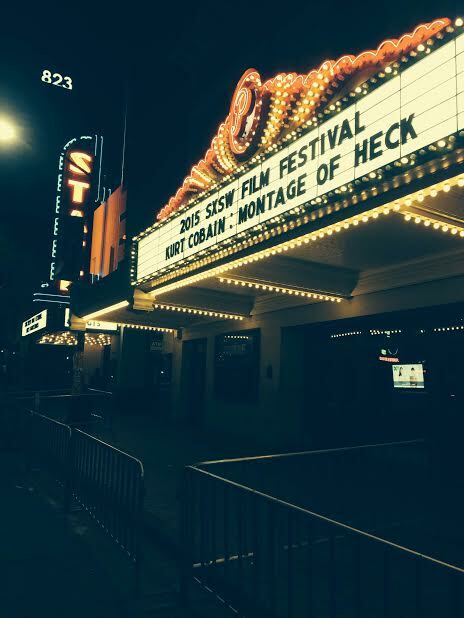 Kurt Cobain: Montage of Heck was one music-film highlight at SXSW. Credit: Kim Voynar. Trending topics most pertinent and potentially impactful to filmmakers at SXSW this year included making your films cheaply by taking advantage of the vast array of video-related apps being developed and products like high-quality lenses designed to fit on an iPhone, and what to do with your film once you’ve made it. Sales and distribution are always of interest to most filmmakers, of course. But the changing distribution landscape—tied in with the “convergence” word-of-the-moment the film world has been buzzing about for a few years now—is perhaps the hottest side topic in the industry at the moment. (Other than perhaps the phrase “The Internet of Everything.”) Last year SXSW programmed some television debuts, and this year the fest continued to lead the trending curve in acceptance of television, web series and episodic storytelling as viable paths of distribution in and of themselves, not just last-ditch paths for filmmakers who couldn’t “make it” in film. SXSW chooses its panels each year in part by allowing fest-goers to submit their own panel ideas and proposals, and the topics being submitted and programmed are in and of themselves a good broad overview of where technology, sales and distribution are heading, while also a way to pinpoint the crossroads where the tech, film and music industries intersect. This year’s panel topics included “An Internet Odyssey: The Next Gen of Webseries,” “A Drama Nirvana: How to Create a Multiplatform Hit,” “Breaking the Fourth Wall: Audience Participation in the Digital Age, “Cinema VFX and Immersive VR: Virtual Worlds Converge,” “Cinematic Virtual Reality: Immersive Storytelling,” “Forget Screens: Immersive Content Lives Everywhere,” “Game of Thrones: Creative Immersive Entertainment,” “Hollywood to Silicon Valley: Making a Megahit,” and “Should You Develop Your Film Into a TV Series?” SXSW, with its triple-pronged approach to embracing film, music and interactive under one umbrella, may be growing to the point that it’s overwhelming to prioritize what to do, not to mention impossible to take all of it in. But it’s also evolving into one of the most important fests for all three industries in terms of keeping a finger on the pulse of emerging trends. Landfill Harmonic looks at a resourceful Paraguayan youth orchestra. At SXSW, one of the ways you can see the convergence of the film and music worlds in action is in the 24 Beats Per Second section, focusing on films related to music. This is always one of my favorite sections of the film festival, and this year was no exception, with entries including Landfill Harmonic , about the Recycled Orchestra of Cateura, a Paraguayan youth orchestra that makes their own instruments out of recycled materials; A Poem is a Naked Person , a doc about Rock and Roll Hall of Famer Leon Russell; Danny Says , an introspective look at legendary manager/promoter Danny Fields, who discovered The Ramones at CBGB and worked with the Doors, MC5, the Stooges and Velvet Underground and Nico, among others; Kurt Cobain: Montage of Heck , a raw and intimate look at the life and career of the iconic Nirvana frontman; Mavis! , a film about gospel/soul music and civil rights legend Mavis Staples; The Jones Family Will Make a Way , about Bishop Fred Jones and his Pentecostal gospel music ministry; Made in Japan , featuring Japanese country music icon Tomi Fujiyama; and my favorite film at this year’s fest, Theory of Obscurity , a fascinating examination of the legendary and highly influential anonymous art collective the Residents, who came to Austin to perform Shadowland, the third of their trilogy of 40th anniversary shows, in conjunction with the world premiere of their film. All eyes were on the Residents movie Theory of Obscurity at SXSW. One of the hottest and most pertinent topics in the film industry remains the plight of female filmmakers in Hollywood, where the boys still make most of the bank while women directors direct less than five percent of feature films. It wasn’t a bad year to be a woman filmmaker at SXSW, at least. The fest has long supported female filmmakers—Lena Dunham premiered both Tiny Furniture and Girls at the fest, and I first became aware of one of my favorite indie directors, Sophia Takal, when her film Green screened in 2011. But the jury is still out on whether the female filmmakers who’ve made a name at SXSW in the past will consistently be able to leverage that momentum into actual directing jobs in the mainstream film world. The star only showed up on screen for Ondi Timoner’s Brand: A Second Coming . Some of this year’s woman-helmed highlights at SXSW included 6 Years , written and directed by Hannah Fidell; Funny Bunny , written and directed by Allison Bagnall; Frame by Frame , directed by Alexandria Bombach and Mo Scarpelli; Twinsters , co-directed by one of the film’s subjects, Samantha Futerman; A Woman Like Me , co-directed by Alex Sichel (now deceased) and Elizabeth Giamatti; and the controversial headliner Brand: A Second Coming , directed by lauded documentarian Ondi Timoner, which stirred quite a buzz when the film’s subject, Russell Brand, declined to participate in the fest at the last minute. The fest also gave two of its keynote slots to a pair of my favorite powerhouse women in the film industry, Ava DuVernay and Christine Vashon. Shannon Sun-Higginson drew notice with her doc GTFO: Get the F% Out , about women being harassed in the world of online gaming—particularly relevant at a fest where the tech/interactive arm is verging on dominating the others. And over in the Midnights, director Karyn Kusama, coming back strong after the disappointing Jennifer’s Body a few years ago, made a better splash this time around with the crowd-pleasing, buzz-generating, when-dinner-parties-go-bad flick The Invitation . Todd Haynes’ devastating Superstar: The Karen Carpenter Story once found temporary refuge in Austin. With roughly 150 features on this year’s slate, SXSW Film offered something for everyone, in spite of the perennial grumblings from the critical set about whether SXSW should cater more to indie filmmakers and press and less to the bigger guys. SXSW has always balanced indie fare with studio sneaks (this year the fest scored a last-minute sneak of Furious 7 that the programming team pulled together on a 24-hour turnaround). I recall seeing an early cut of Sam Raimi’s Drag Me to Hell and a 20-minute sneak of the (then at least) hotly anticipated Bruno at SXSW 2009—both studio fare, and both fun, raucous, audience-pleasing screenings. But that year I also had what in cinema-lovers terms might be considered a “unicorn sighting,” when I got a frantic text from an insider friend to get over to Alamo Drafthouse as fast as I could; the just-announced secret screening about to unfurl there was Todd Haynes’ brilliant, subversive, insightful (and, er … verging on illegal) banned film Superstar , which uses stop-motion and Barbie dolls to tell the story of the demise of Karen Carpenter. That screening, my cinephile friends, will live in my personal film industry history as a “top five” moment of all time. And that independent spirit is still alive and well in Austin and at SXSW, where the programming team, led by Janet Pierson, is still passionate about movies, and just as passionate about keeping it weird. 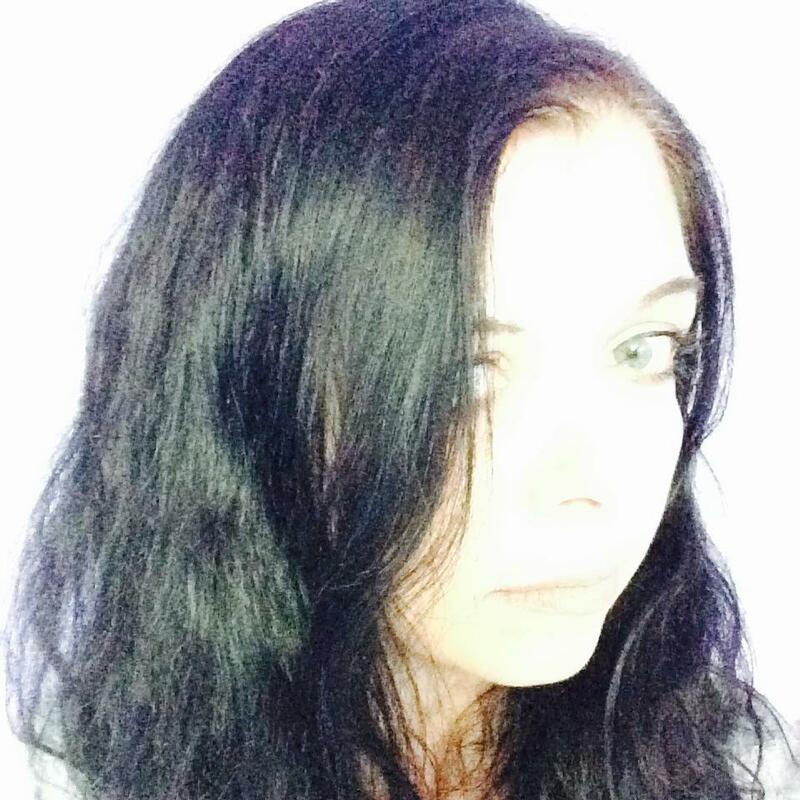 Kim Voynar is film critic and features editor for Movie City News. When she’s not watching a film or writing a review, she stays busy with a life that includes six kids, two dogs and two hamsters under one roof, homeschooling, and theater. Occasionally, she sleeps. This entry was posted in Films, Uncategorized and tagged African film, Austin Texas, Films, music festival, South By SouthWest, SXSW. Bookmark the permalink.